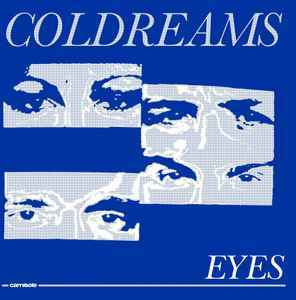 After some problems beyond our control the final release date of the Coldreams 7" will be 16th May 2019 ! Pre-orders are still open and will be sent at this date ! Wow so many people in my same situation! A month ago i could't stand the lack of communication and i canceled my order and got an immediate refund ... Now OF COURSE i'm going to own this 7" ( as if 14 € were not enough ... ) through this guy or a distro but in 2019, with small labels like and with this record / genre the communication is crucial !! If the label would have said "i'm sorry but i'm having troubles with an insane queue at the pressing plant or i'm having delays with the prints or even ... i'm going on a 6 months pilgrimage in Tibet, i need to do this now and i'll be able to sell the Colddreams in mid 2019" , i would have waited 6 months more ... there are lots of unforseen events that can happen and i'm not an a£%hole. Instead i had to write him / them several times just to have telegraphic replies. The coldreams reissue is postponed to March. Who got the same in their mailbox? Probably cancelled. A shame ! I don't think this is coming out, you guys...any other news?